Carrying on from yesterday, this is seasonal post to highlight another of my wonderful sponsors. Anyone who has been reading here for any length of time will know how much I love knitting with Ecoyarns products. I introduced Salihan and Richard to you earlier in the year when they bought the business from former owner Vivian. 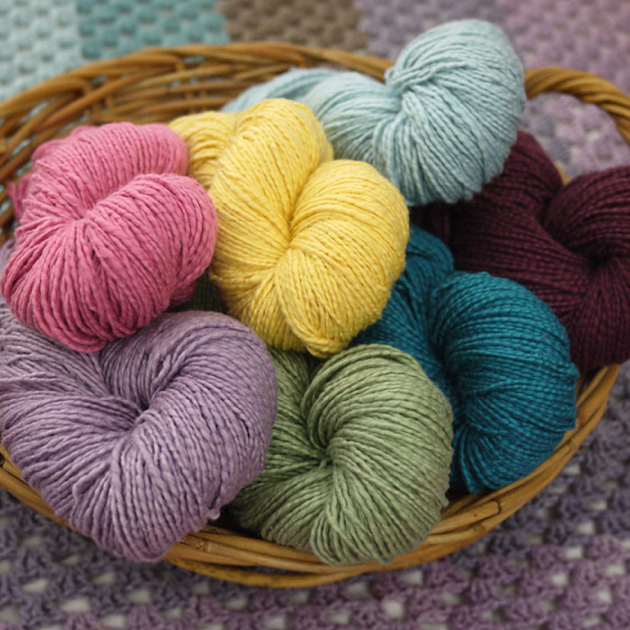 Their Eco-Organic cotton in the Virtues colour range is my favourite yarn. Over the years, I have used it for various gifts knits for family and friends and shawls for myself, and I knit the end pieces into dishcloths. How could I waste one centimetre of such good yarn. 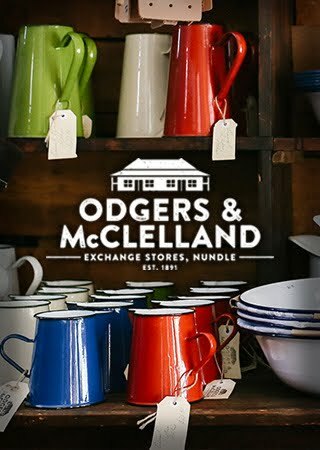 I was very pleased to see that particular range has expanded. 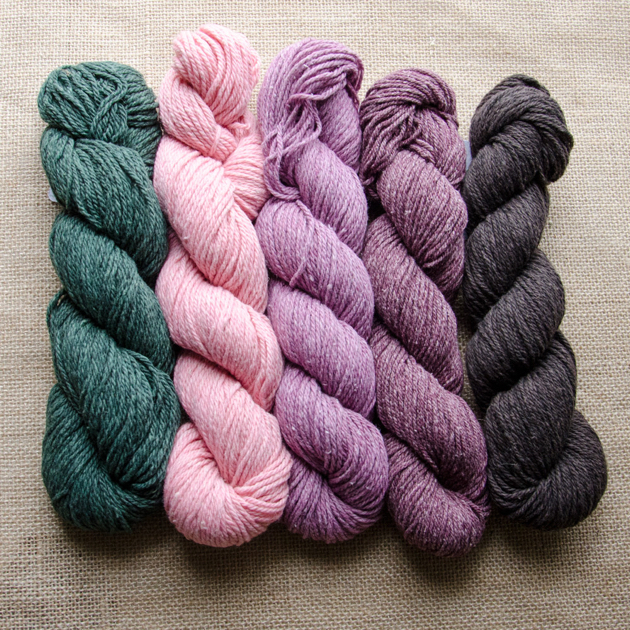 They now have another 8ply eco-organic cotton, a sister yarn to Virtues, called Clouds. The colours are gorgeous and as the yarn is loosely woven it is said to be softer to the touch. 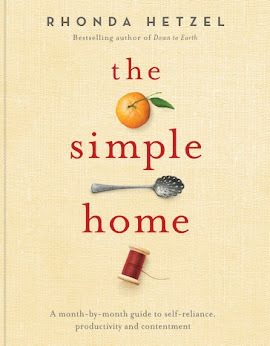 I can't wait to get my hands on it. 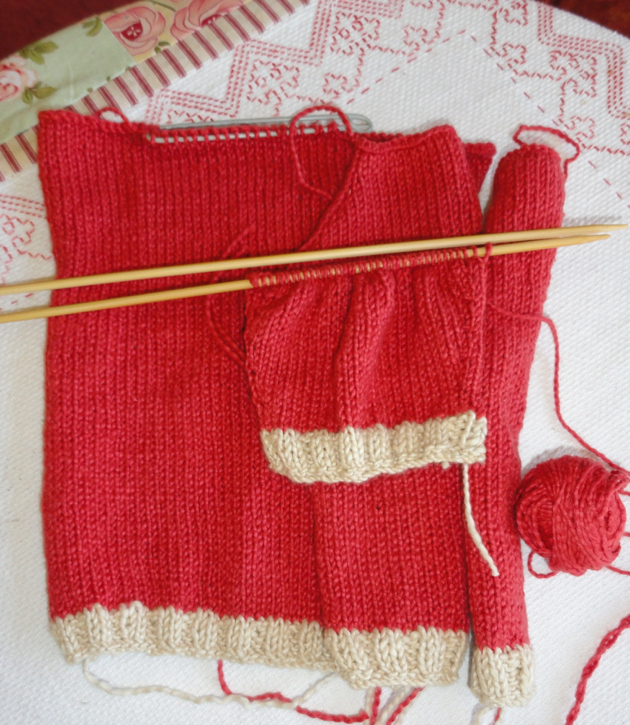 Half way through a cardigan I made for Alex when he was a baby using Eco-Cotton Values - in the colours of Valour and Cardinal Virtue. All other photos are from Ecoyarns. Over Christmas I'm knitting a scarf for my sister Tricia. 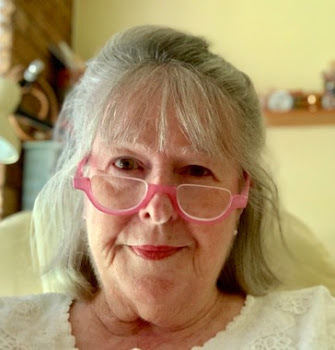 Every so often she suffers from a breathing problem and she lives in Blackheath in the Blue Mountains where it's bitterly cold in winter and it can snow in summer. I thought a scarf would help, wrapped warmly around her neck as she does her work. I want yarn I'm confident contains no harmful dyes or residual pesticide that won't harm her health. O-Wool's Balance give me that peace of mind. Balance by O-Wool in just some of their colours. I'm using Balance by O-Wool. These yarns have been sold by Ecoyarns for some time but they recently restocked and now there are 13 colours in the range. It's machine washable, 50-50 organic cotton/organic merino. Good for warmer climates, changing seasons or wearing indoors: Click here to check the range of colours. I really like the one called Malachite. Allhemp6 (8 ply) - a new shipment is due in soon. 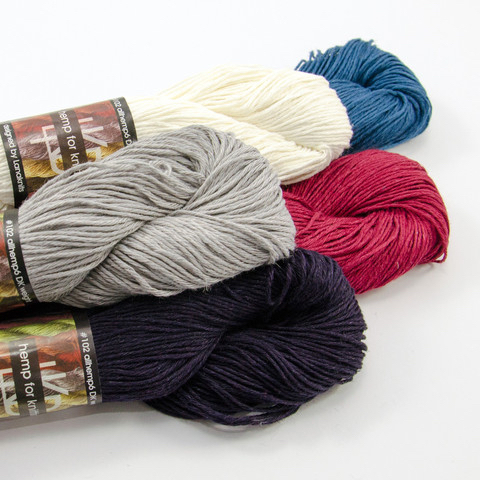 Above are the Hempwol Sock Kits - at $32.50, they're an idea Christmas gift for a knitter. A part of my next order will be the luxurious looking Hemp for Knitting yarns. It's one of the most popular brands of hemp yarn in the world and known for its high quality. Salihan said these yarns have been used in many patterns found in magazines and books, including Interweave, Vogue Knitting and Knitty. They stock the Allhemp6 (8 ply), Allhemp3 (4 ply) and the Hempwol Sock Kit - click here to check the range of Allhemp and the Hempwol sock kits. Most of the hemp yarn is out of stock at the moment but check it out because Salihan told me they've got a new shipment on the way and it's due in the next week or so. 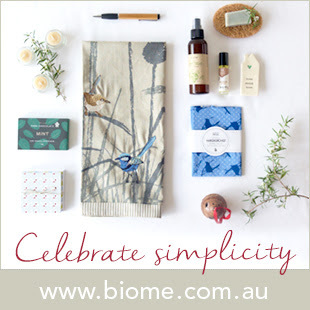 Eco-Organic Cotton in the Virtues range. A new product, Eco-Organic Cotton in a softer spin called Clouds. And here it is: Eco-Organic Cotton is now split into the Virtues range and the Clouds range. Both are 8ply. Clouds is a looser spun yarn and very soft. I'll be trying Clouds when I do my Christmas knitting but I can already highly recommend Virtues to you as I've been knitting with it for years. It's a delight to work with and knits up very nicely. I've not used this wool yet but it looks divine. 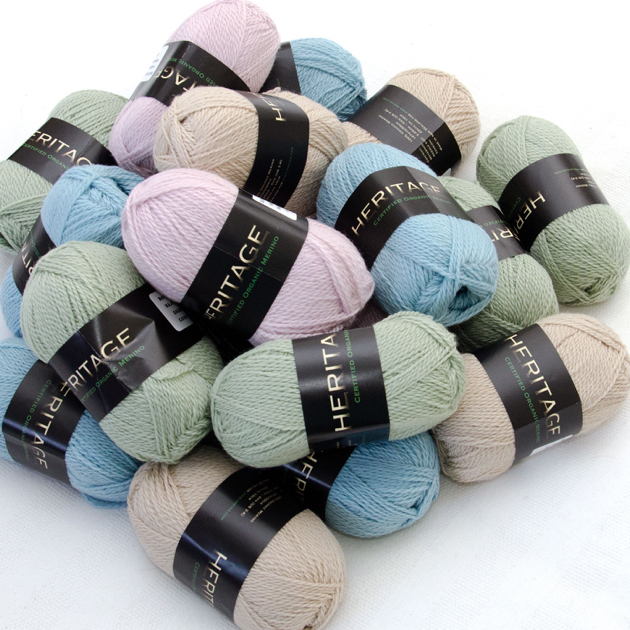 Heritage Organic Merino Sport by Skeinz. 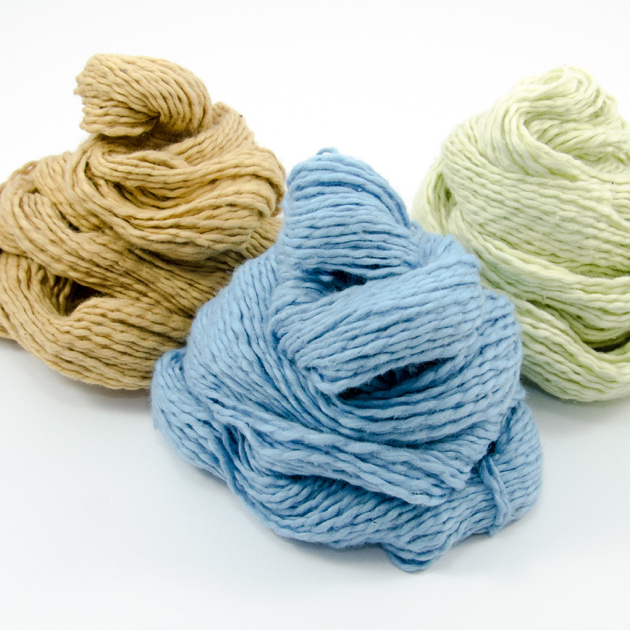 Beautifully soft organic merino from New Zealand. Soft colours and very good for baby wear and lighter knits - Click here to learn more about Heritage Organic Merino Sport wool. The Mithril Lord of the Rings scarf kit. The scaft kit is $45, the glove kit is $28, both very good Chistmas gifts for a knitter. 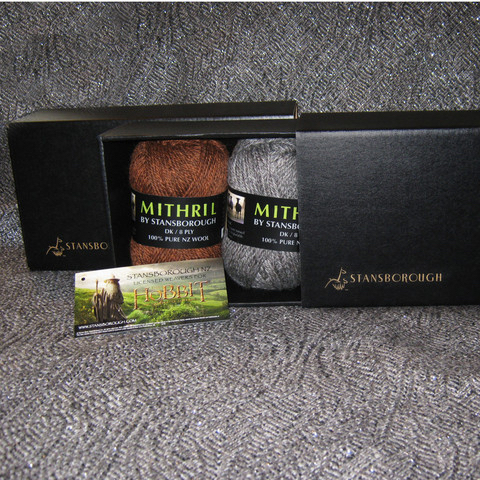 Mithril by Stansborough. This is not new to the store but has been restocked recently with a wider variety of colours. There are scarf and glove kits too. Great for the Lord of the Rings fans, they come with the knitting yarn, pattern and licensed tag. 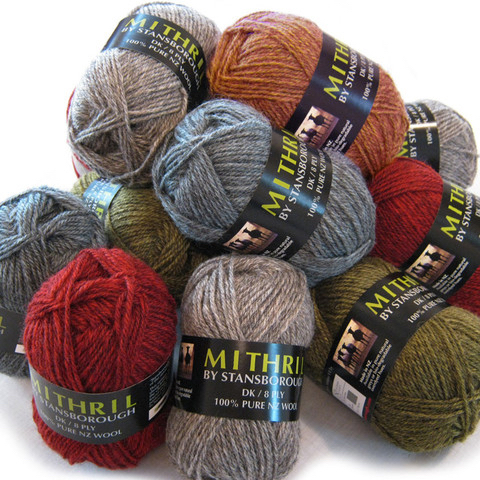 Click here for more information about Mithril and their knitting kits. 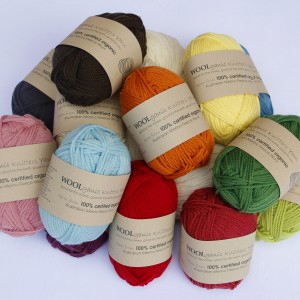 WOOLganics 8ply by Australian Organic Wool has a good colour range and is excellent for general knitting. WOOLganic knitters yarns are spun in New Zealand from certified organic or biodynamic Australian merino fleece wool and are processed in accordance with organic standards. They are dyed with low impact metal free dyes. Hand washing and flat dying are a must for these knits to keep them in top condition for many years. Click here to check out the range of WOOLganics 8 ply. Minisoaks and Flatter Spray by Soaks. The Minisoaks are good to test out the fragrances of the larger bottles and the Flatter Spray is good for ironing out creases pre-sewing or using it to freshen fabrics and knits between washes. The Soakbox gift sets are not new to the store but great for Christmas gifting - The limited edition Soakbox includes a bottle of Soak and Handmaid luxury creme, matched premium nail polish, custom hand-dyed yarn from Lorna's Laces and a fingerless gloves knitting pattern by Fiona Ellis. One to match each fragrance - Aquae, Celebration, Lacey and Scentless. Click here for more information about the Soaks products. There are many more yarns to see on the site as well as needles and hooks, niddy-noddies, swifts, drop spindles, carders, felt kits, needle and hook gauges, buttons and looms. Gift certificates are available starting at $10. Christmas is one of the best times of the year to knit so if you want good qualities yarns, I recommend Ecoyarns to you. You know what I'll be doing over Christmas. 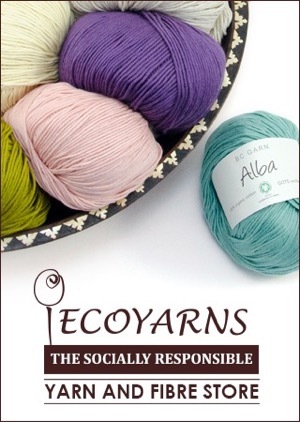 :- ) If you want to order later on, the link the Ecoyarns will always be on my side bar. I just love Lord of the rings - particularly 'the Shire'. (one of my weaknesses) That scarf set looks a ripper. 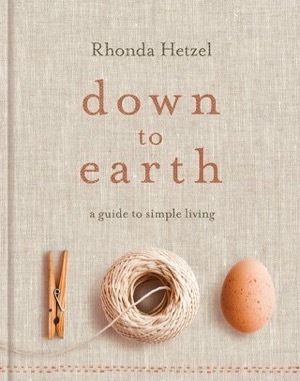 Thanks for this Rhonda, it's a while since I checked out EcoYarns and I can see that there is some great new yarn! The online knitting for charity group I belong too recently had their annual get-together, and each year there's a giant raffle, with gift cards donated by members, sponsors and supporters. I bought a gift certificate from Eco Yarns, not only for their beautiful products, but to introduce others to them. Salihan very generously added a number of balls of cotton, i think from memory it was the Clouds. Sadly, my ticket wasn't drawn for this prize, but a there's a lucky member who's going to have a wonderful surprise. I made my granddaughters each a slouchy beanie last year in the Mithril, loved the gorgeous subtle flecked colours, lovely to knit up. I think it'll be a cowl and fingerless mitts this year.